Expected Release: April 17, 2019. Date subject to change. 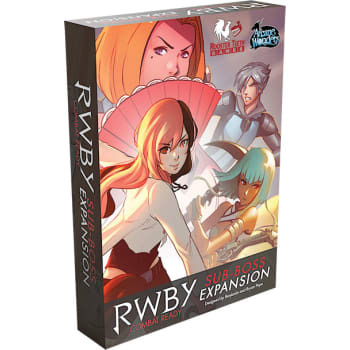 RWBY: Combat Ready is an exciting cooperative game for 2-5 players that captures the flavor and excitement of the series, with fast-paced battles where all players are actively involved and engaged at the same time. Each player has their own separate deck of cards representing their attacks, actions, and moves. Each character plays a little differently, using their own unique tactics and strategies.